As my clients are preparing to return to school—some excited, some not so much—I thought it timely to offer 10 tips for teachers to create an environment that will increase the likelihood of success for dyslexic students in the classroom. It's that time of year—everyone is excited that school has started! Well, not quite everyone—for our students with dyslexia, school does not always bring up fond thoughts or memories. And, if we think about it, that makes sense. Who wants to spend 6–8 hours a day in a setting where you know you will not succeed…where everyone around you can read the class material…when you have to go home and spend hours and hours on homework while your friends just breeze right through it and head out to shoot some hoops? Not me, that’s for sure. I think it can be challenging for those of us who teach, since many of us do not have a learning disability and have not walked the walk, to understand what a dyslexic student faces every day in the classroom. And, no teacher wants to see a student struggle and fail under his or her watch. That is not why we go into teaching. If you’ve a tip to add to our list, please share it on our Facebook page. Understand how dyslexia affects one’s ability to learn from the curriculum. Consider utilizing a Universal Design for Learning framework in your classroom. Talk with your dyslexic student (or his or her parents if younger) about what he or she needs to succeed. Refrain from “cold calling” on the dyslexic student, particularly where reading, spelling, and writing are concerned. No spelling bees, please. When spelling is not the focus, limit marking spelling errors with those red pens when grading papers, quizzes, and tests. Slow the pace down and give the dyslexic student time to think about a question and respond. Call on him if he volunteers. Give the dyslexic student a paragraph to read aloud for tomorrow so that he can practice it with the teacher consultant and then at home after school. Your student will be given the gift of feeling ‘normal’ and successful. Choose workgroups carefully. Pair the creative, verbal dyslexic student with the students who like to take notes or read and are compassionate. Consider alternative assessments, such as an oral exam or creation of a visual representation of the material learned. Refrain from posting grades or distributing graded material in a public forum. Let the dyslexic student see the person in you who just plain likes kids, sees the gifts in all kids, and creates an environment to let them shine! Here’s hoping you have your best year yet! P.S. 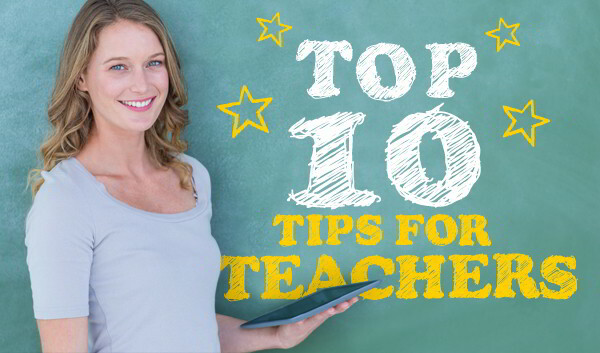 These tips will also work with ALL students!